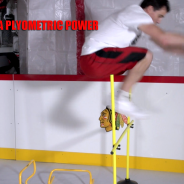 In this segment (Part 4 of 5), Steven J. Wong instructs Jeremy Rupke (How To Hockey / The Hockey Movement / HockeyShot.com) on the fourth of five essential WongMania exercises to develop explosive power for Hockey players – today it’s all about isometric contractions. 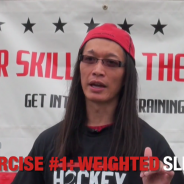 In this segment (Part 3 of 5), Steven J. Wong instructs Jeremy Rupke (How To Hockey / The Hockey Movement / HockeyShot.com) on the third of five essential WongMania exercises to develop explosive power for Hockey players. 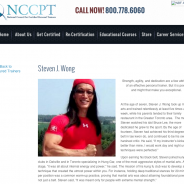 In this segment (Part 2 of 5), Steven J. Wong instructs Jeremy Rupke (How To Hockey / The Hockey Movement / HockeyShot.com) on the second of five essential WongMania exercises to develop explosive power for Hockey players. 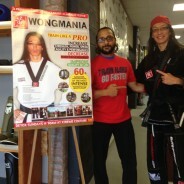 Visit www.WongMania.com for more great tips! 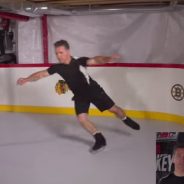 WongMania Hockey Tip: Jeremy Rupke Teaches Us the Scoopy Puck Move! 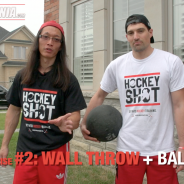 In this episode of the Weekly WongMania video tip, Steven J. Wong brings in his good friend Jeremy Rupke from The Hockey Movement and How To Hockey to demonstrate and teach us how to pick up the puck with your stick blade from the ice. 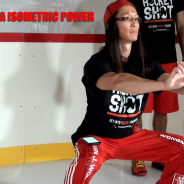 In this episode, Steven J. Wong brings in his WongMania Hockey Technical Development Specialists into the HockeyShot Synthetic Ice training facility. Justin Teakle and Sean Teakle provide the tips and drills that they used for elite players (PK Subban, John Tavares, Connor McDavid, etc) to improve Stickhandling, Deking and Passing.